Because you can never have too many bags or gadgets, here are a few more items displayed at the International Travel Goods show in Las Vegas last week. Taking off a belt before going through an airport metal detector can be a hassle and putting it back through your pants loops on the other side just wastes more time. The Royce Fly Belt (MSRP, $75) tackles that problem with a metal belt buckle you can just detach from the leather belt before walking through detector and then reattach it on the other side. No need to unzip and fully fold open a suitcase to access or repack an item with the Nuki line of front opening hard shell luggage. Available in three sizes: 20″ carry-on (MSRP: $199), 24″ medium checked bag (MSRP: $249) and 28″ large checked bag (MSRP $299), and in four designs: Hounds tooth, rococo, black and silver. 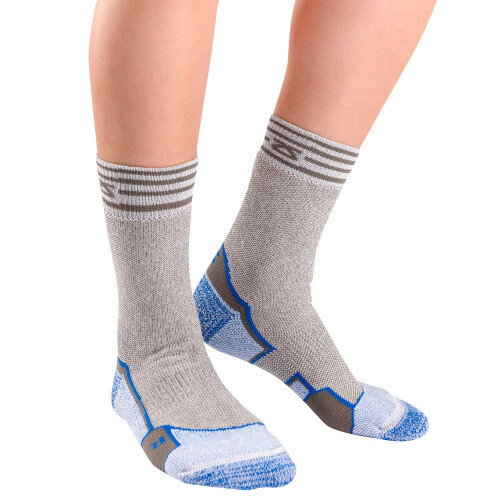 Zensah has a new line of environmentally-friendly Coffee Comfort Socks (MSRP: $29.99) made with yarn infused with coffee-bean shells, which help make the socks comfortable and odor neutralizing. Available colors include sky, rosy, cloud and twilight — but not cappuccino.